Santhosh and Nisha were office buddies. After they relocated to US they decided to tie the knot. 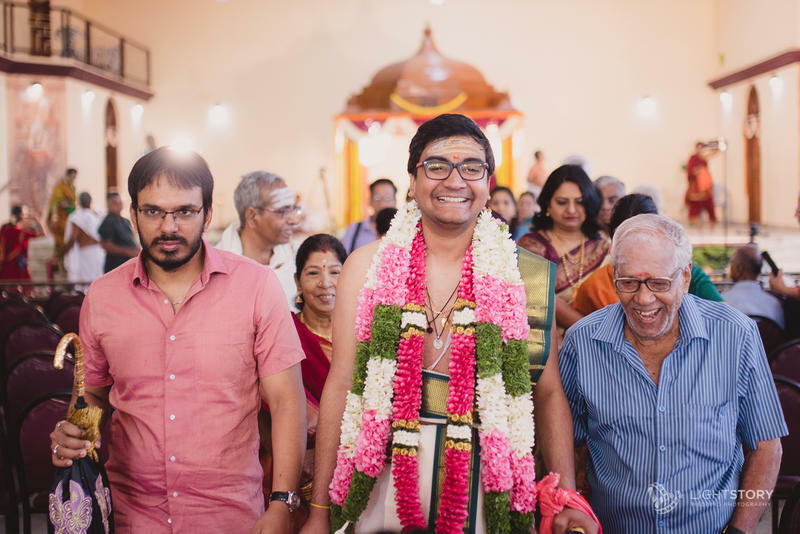 It was a two day celebration at Coimbatore. Few days after the wedding we decided to go out for a couple shoot. 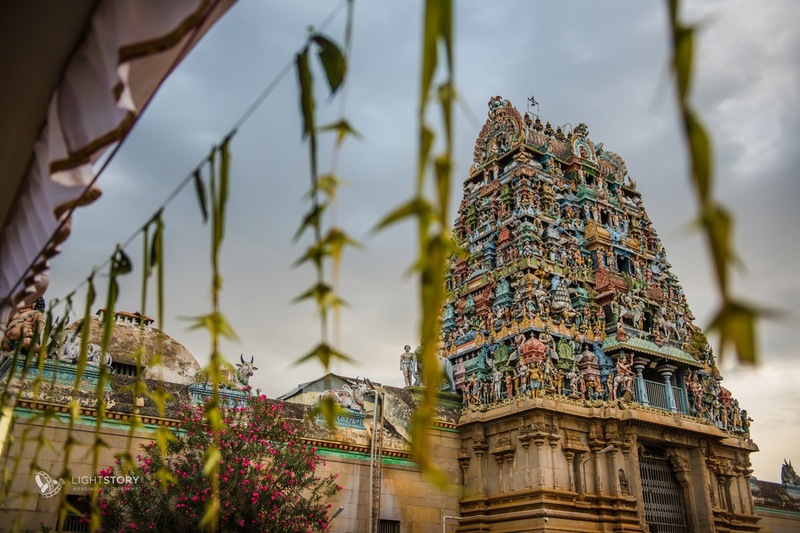 When we were shortlisting places to shoot, Santhosh liked the idea to shoot in a temple and ethnic setting. 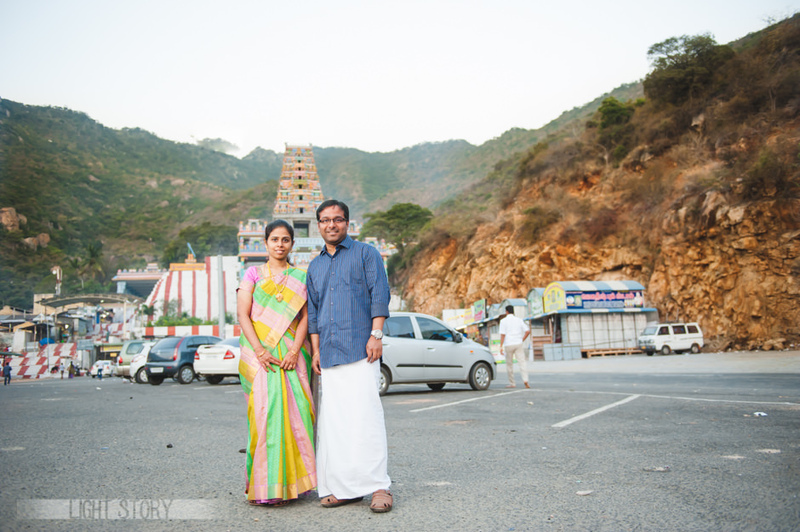 So we decided to shoot at one of the iconic landmark of Coimbatore, Marudamalai.I had an early morning in my hands as the couple had to rush to the registration post the shoot. The golden sun rise was just an blessing in disguise. It became yet another reason for me to fall in love with the city.